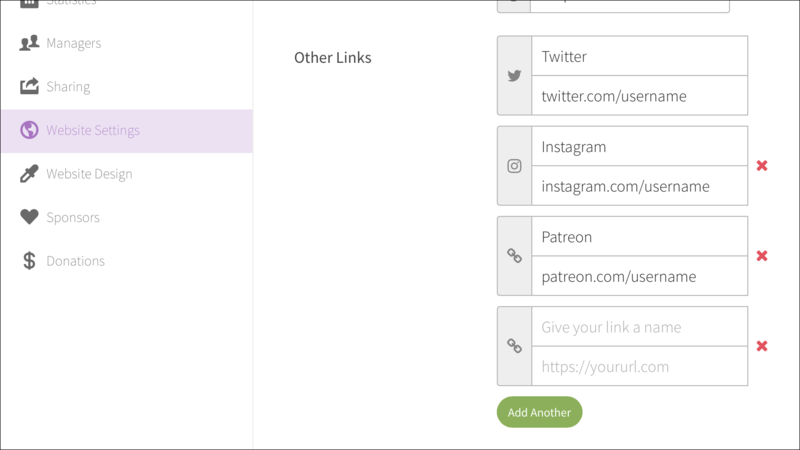 We've made it effortless to add additional links to the top your show's Simplecast site—you can add links to social media accounts, podcast apps, or other websites. In your Simplecast dashboard, under Website Settings, you'll find the option to create Other Links on your Simplecast Site. Click the Add Another button to add an additional link, or click the red X to remove one. Still have questions? We'd be happy to answer them. You can start a live chat with someone from our team by clicking on the chat icon in the bottom-right side of your screen.